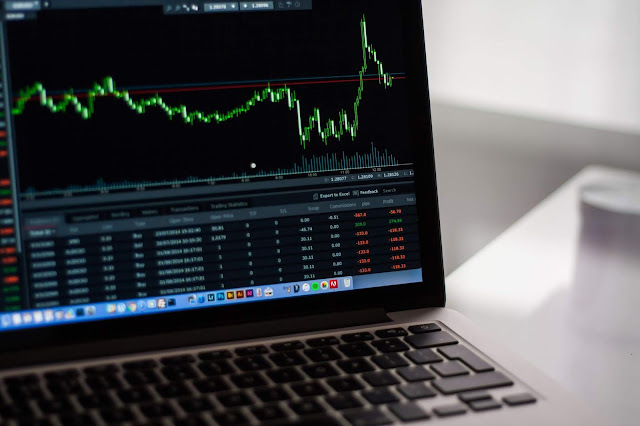 Friends if you are a newbie to stock market here are few rules of stock market, that you ought to know, in order to make good returns. 1. Not a place to earn easy money. Friends if you think stock market is a place from where you can plough back easy money, then you better start educating yourself, because this is completely a false notion. Only through good research and lots of patience and experience can one expect good returns. 2. Nobody knows what's coming next. Friends no matter who you are, what stock markets course you have done, you cant predict what's in store. Absolutely no one can predict what turn stock markets will take, because there are lots of micro and macro factors affecting it. So next time you see a stock market expert, predicting niftys levels, you should know he is just guessing. 3. Never indulge in intraday trade. Friends if you were to take one advice of me seriously, then it has to be this. I know people who have made big losses, playing this intraday game. 4. Bring in only that moolah, which you can afford to loose. Friends again, we know stock market is a place of total uncertainty, there are no fixed and assured returns. So, one should only invest that money, which he/she will not be requiring in near future and which will have minimal effect on his life, if he stands to loose it all. 5. Never buy stocks, just because your neighbour, relative, friends have suggested. There are stories from past, that how a particular company's shares have made crores for its investors. This lures many novice people to enter the stock markets, but what they forget, is to do their homework. They often buy their first shares, on recommendation of their relatives or friends. So my advice is to take time for your research, and then invest. Today there is ample learning stuff, available online. Make use of it. 6. Stock markets are a place where either you earn or you learn. Friends, one thing that you need to keep in mind is, not everyone, everytime makes money from stock markets. So don't worry if you happen to make losses, don't be discouraged by this failure. Every failure will teach you, with every setback you will learn new lessons. 7. Never try to catch a free falling share. Many people try to catch a falling knife, some of the recent examples are vakranjee, rcom, suzlon etc. They think that they are buying them at a cheaper rate, but many a times these free falling shares have doomed futures. We know what happened with rcom. Also other thing, that you need to avoid is buying share solely because it has 52 week low. One must only buy and average it only if he has good confidence in the company, its management. Friends no matter how good a company is, you need to keep a stop loss. In this way you will not loose much, in case if the company hits rough patch. 9. Have different accounts for trading and investing. Friends I know, no matter how much I will tell you to stay away from trading, there will be some out there who will that urge to trade . So in this case, you can open a different account for trading in this manner you will not get confused between your investment and trading. 10. Book small profits, if you don't have any long term goals. Friends here long term could be very subjective thing, for some it could mean 5 years, whereas for some it could be 20 years, and for some rare species it could be eternity ( they are the ones who would like to pass on the shares for the next generations ). Unless you have bought shares for your long term goals like retirement or funding your child's higher studies or marriage its wise to book profits that comes your way. So friends these were some rules of stock market, if you happen to follow these you would definitely be able to make some handsome gains and would not burn your fingers in stock markets. Hi guys myself Sunoj Sukumaran , I'm founder of finmaaster.com I like to help people in making financial decisions.